But seriously – they ARE costing us the earth! Whoa!! How scary is that? BUT what are we all meant to do? Never buy jeans ever again? WELL yes we should make our jeans last as long as possible. 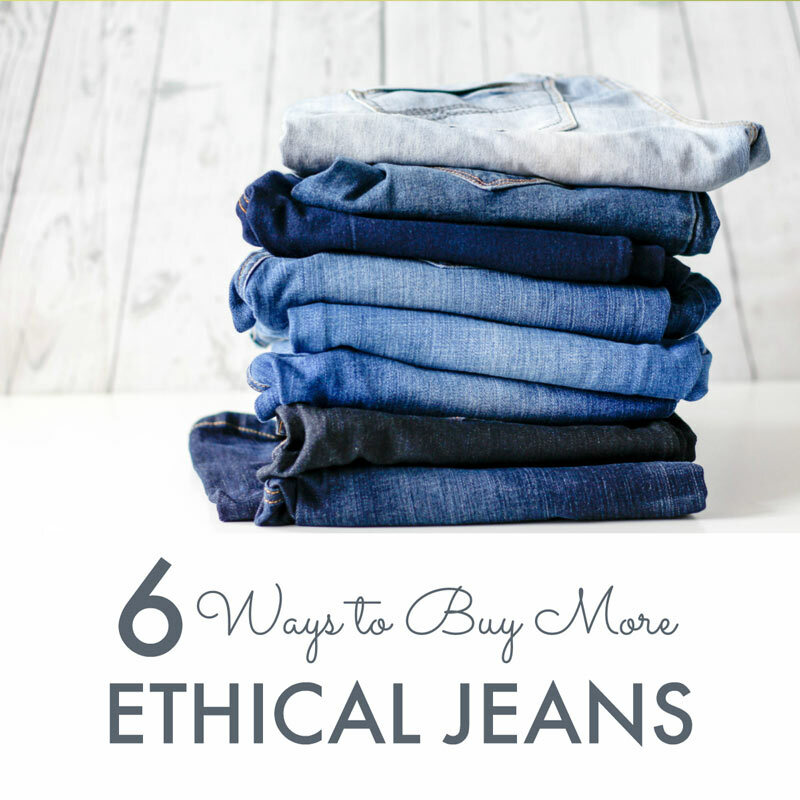 BUT luckily there are simple ways to buy more ethical jeans. IF we ALL do just one of those things, we can together make an BIG difference. eBay is obviously full of pre-loved jeans. 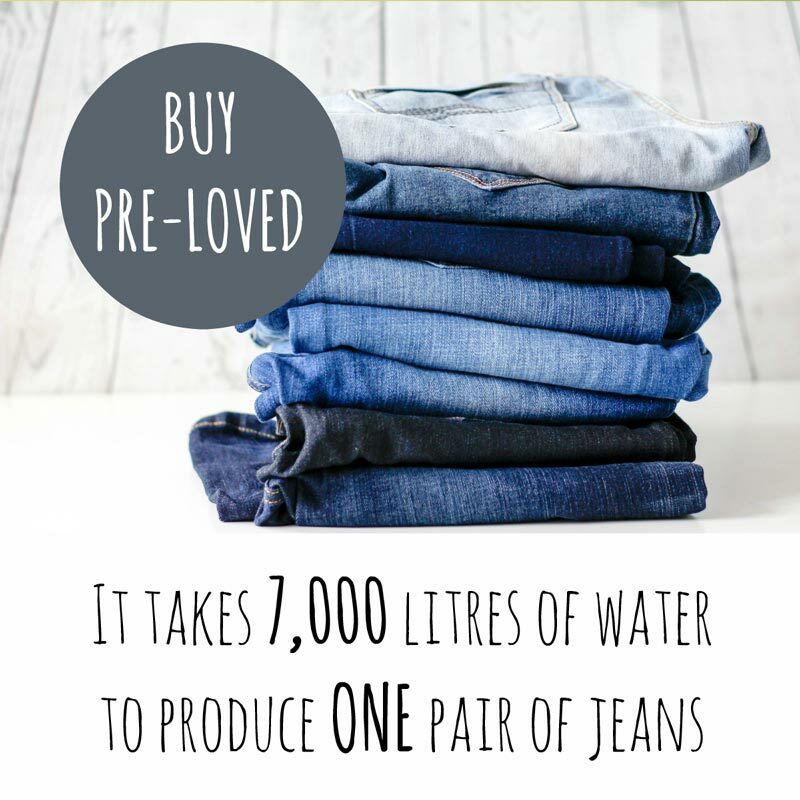 And we can do double good by buying vintage jeans from charity shops or online charity stores. 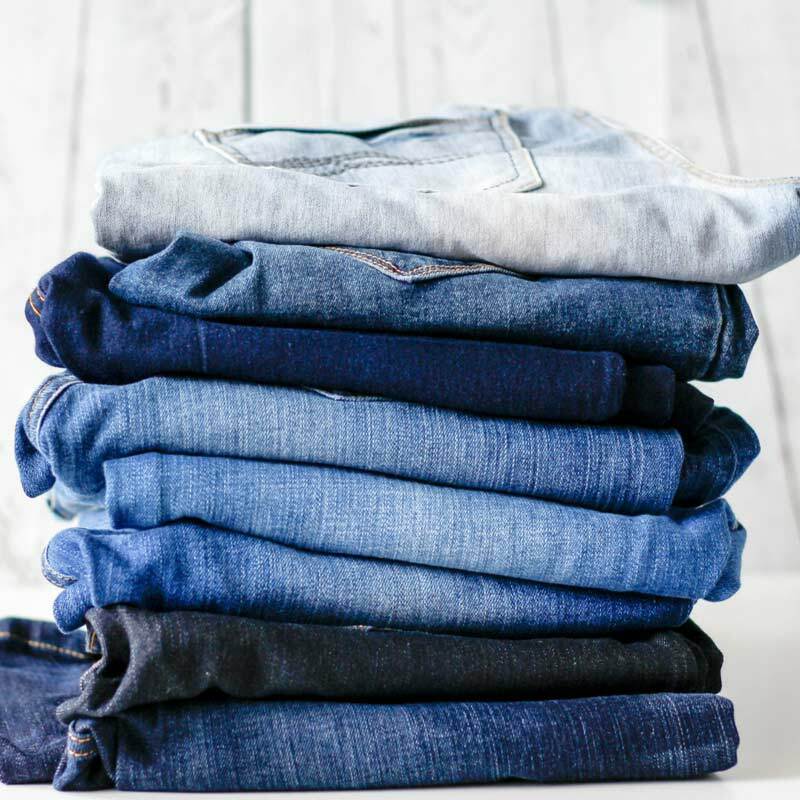 More and more companies are offering organic cotton jeans. Made with pesticide free cotton and MUCH less water. Nudie Jeans – organic jeans for blokes and boys. They offer FREE repairs. 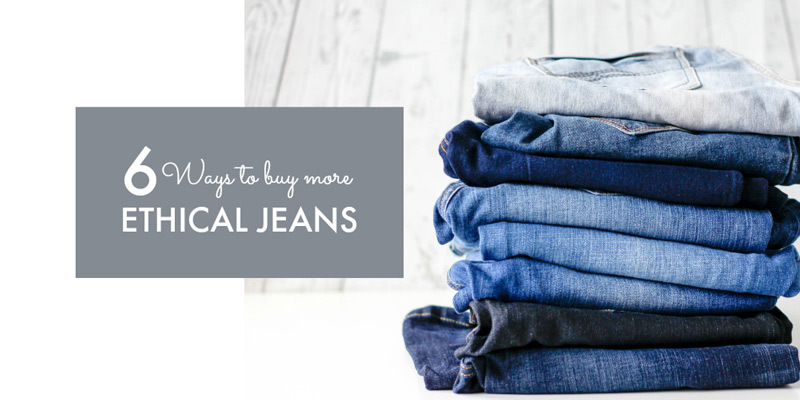 PLUS vintage jeans and recycling of your old ones. NOW I have to be honest. Most of these jeans are more expensivethan the average high street brand. BUT one of the MOST ethical things we can do, is spend MORE to buy fewer clothes! Working conditions in textile factories worldwide have supposedly improved. BUT many of the factories producing our clothes STILL pay less than a living wage, for over 12 hours work a day, 7 days a week in unsafe conditions, failing to recognise basic labour rights. For me, this is just too HIGH a price to pay for my jeans! We have lost so many skilled textile jobs in the USA and UK. And that matters because it means all our clothes get shipped round the world causing pollution. AND because our local communities need good jobs in which we actually MAKE stuff. And luckily there are now some super cool companies making jeans again in the USA and Britain. Huit Denim – Gorgeous if not cheap jeans made in the little town of Cardigan – once the centre of the British jeans making industry. 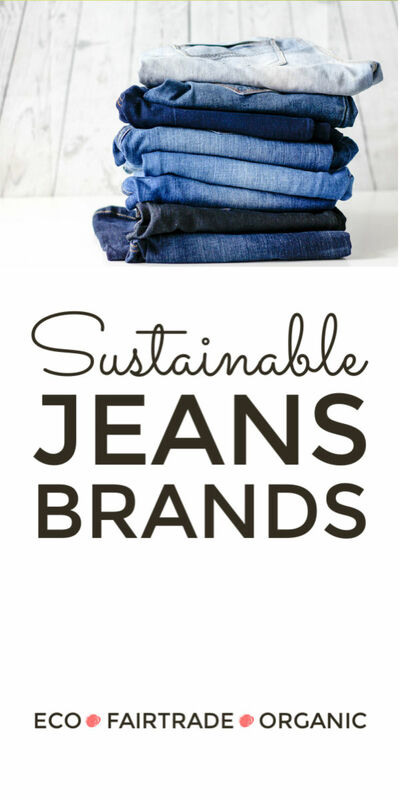 Lots of ways you can buy ethical jeans that really won’t cost the earth. I hope you find some you love. Let me know. Do save this guide for later. And share with your friends.